Father Paul Megally was born on July 27, 1940. He earned a Bachelor of Arts in English and Education, and a Master of Arts degree in Education and Psychology in 1965 from Ain Shams University. He worked in Kuwait as a Public Relations Manager for twenty years and was in charge of the Sunday School Program from 1968 to 1987 prior to immigrating to the U.S. 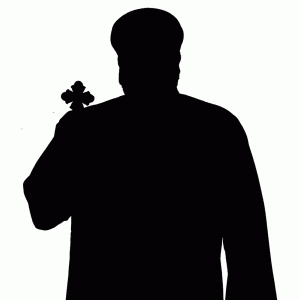 He served at Archangel Michael Church in Santa Ana from 1987-1994 when he was ordained as a priest by H.H. Pope Shenouda III in Cairo on June 19, 1994. He has been serving at St. Peter and St. Paul Church in Santa Monica, California ever since. He also served at St. Demiana Church in Bakersfield from 1995 to 1997. He was ordained as a Hegumen by H.G. Bishop Serapion on January 9, 2005.